Spawned at the foot of London’s Westway (the capital’s very own rock’n’roll main artery), making their base among the sinning streets of Kings Cross. 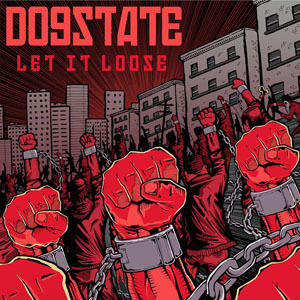 DOGSTATE fuse rock, blues and punk with the passion and aggression of a generation that has been overlooked. With the purpose of bringing full on high energy, jams kicking rock to the masses, the band has made the road their own. 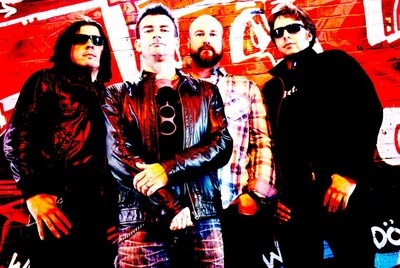 Dogstate’s debut EP 'War Baby' with uber - producer Pat Collier (Primal Scream, Jesus and Mary Chain, Happy Mondays, The Vibrators) received killer reviews including the cd cover mount on Devoltion magazine and as favourites on radio stations including rotation play on Bloodstock Radio, Midlands Metalheads, The Anti-swarm and Optical Zoo. Eager to work with the band again Pat Collier set out to capture the band's street snarling, high-octane charged rock at its best. With a wider release via Road to Ruin and Cargo Records LET IT LOOSE promises to be an explosion of hard and heavy rock‘n’roll and will push Dogstate onto a wider audience. Already it has received the thumbs up from the likes of Lars Friderikson (Rancid) who visited the band during the recordings and Korey Clarke (Warrior Soul) who insisted the album be played as part of Warrior Soul's intro during their UK tour as well as press coverage in time for the release date (18/11/13). Totalling up more than 80 gigs in 12 months the band have supported the legendary Warrior Soul, Groundhogs, Cancer Bats, Pig Iron and Steve Conte (New York Dolls). Oct also sees them play tour dates with Trucker Diablo before they embark on their own national tour. As individual musicians Dogstate members have also played with; Mark Arm (Mudhoney), Duff Mckagan, Brian Robbo Robertson, Jim Jones, Roots Manuva, blues legends Sam Kelly and Marcus Mallone, Michelle Gun Elephant, Guitar Wolf.